Sometimes an anniversary involves a celebration of some sort. The events marked today are separate, yet inexplicably connected through virtue of their messages. Six years ago today, BP’s Deepwater Horizon oil rig exploded in the Gulf of Mexico, killing eleven men working on the rig and doing untold damage to the environment and wildlife as a result of an uncontrollable spew of petroleum into the fragile and precious habitat off the coast of Louisiana. And just two weeks prior to that, twenty-nine men lost their lives in the Massey coal mine in West Virginia when gases and coal dust ignited. These two events have several things in common. The disasters could have been prevented if proper safety standards had been followed by the companies, and if the government who created those standards had actually enforced them. And in both cases, the workers toiling away at bringing fossil fuels to the surface for us and for the profits they garnered for Massey and BP. As a writer, I felt drawn to both stories because of how they touched my life. But that book, Trails in the Sand, also addresses several personal issues about family and finding a way to heal the wounds that stretch back generations. All the while the oil spills and the West Virginia community deals with the shock of losing so many lives. Both tragedies continue. 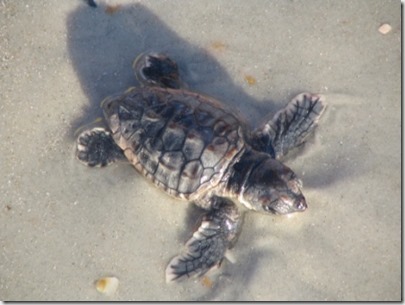 BP is being held accountable but that doesn’t help the wildlife that swallowed all the oil. We may see the impacts of that for years to come. The CEO of Massey Energy, Don Blankenship, was recently sentenced to one year in prison for his blatant disregard of safety standards at the Upper Big Branch mine (New York Times editorial). Some are surprised he received any punishment at all. The families of those killed feel it was merely a slap on the wrist as they believe the blood of their loved ones stains his hands. Now to the celebration part. It’s Earth Day, which began forty years ago as a way to celebrate the Earth and the start of the environmental movement in this country. Let’s all take a moment to think about how we can be a part of the solution by doing something positive for the environment this year. 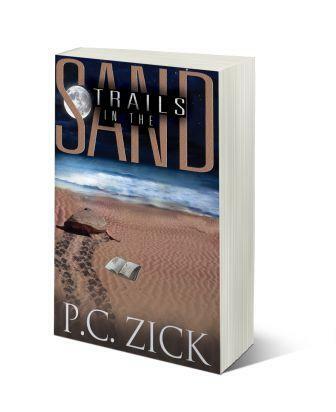 To mark all of these books, Trails in the Sand, can be downloaded for free on Amazon. While a work of fiction, the novel follows the real-life tragedies in the Gulf of Mexico and West Virginia. Please grab your copy today and tomorrow (April 20 and 21), if you haven’t done so already. I wrote Trails in the Sand in 2013, two years after BP’s Deepwater Horizon oil spill and the Upper Big Branch Massey coal mine explosion in West Virginia. The two events occurred within two weeks of one another and killed a total of forty men. Both tragedies could have been prevented if safety standards had been in place and enforced. The book uses both events as the backdrop to the disasters occurring in the lives of the main characters as families mourn and oil gushes from the rig in the Gulf of Mexico. Lives were lost unnecessarily and wildlife and their habitats were threatened. And are still threatened to this day. Last week, the CEO of Massey Energy, Don Blankenship, was found guilty of “conspiring to violate federal safety standards,” which led to the death of twenty-nine men. This is a misdemeanor and carries a maximum of one-year in prison. He was exonerated on three felony charges. It seems to be a ‘slap on the wrist,’ but it is the first time that a major coal executive has ever been held accountable for decisions made at the top of the chain that impacted the workers far below the earth, who put their lives in jeopardy every single day. To read more about Blankenship and his date with the jury, go to the New York Times article. Someone needs to be held accountable. Someone needs to know that when regulations are in place, they must be followed or there are consequences. Someone must enforce the regulations. I maintained in Trails in the Sand that we will not be able to live without the energy and fuel from coal and petroleum, but we don’t have to retrieve them in a way that endangers human and animal life and their habitats. Yet it happens and those responsible are rarely asked to pay for their crimes. There are forty families in the United States who will celebrate the holidays this year for the sixth time without a member of their family because of greed and the quest to bring us gas for our cars and electricity for our homes. Here’s an excerpt from Trails in the Sand from two different chapters – one a factual recounting of mining disasters in the U.S., and the other from the main character, as she and her husband travel to West Virginia to visit family members directly impacted by the mine disaster. Wildlife exhibits the first signs, acting as the harbinger of coming environment disasters. Coal miners knew it to be true. That’s why in the earliest days of coal mining, the miners would take a caged canary down into the mines with them. This small songbird could detect the smallest quantities of methane and carbon monoxide. If the canary kept singing, the mine was deemed safe. If the singing stopped, the canary keeled over, and the miners escaped. The early miners in West Virginia in the 1880s were mostly European immigrants and African-Americans, and they served a sort of peonage in those early mines. They rented or bought their own equipment and lived in company houses, and their pay went to the company store for food. It was a hard life, during the day and during the night. The fear of death never left their doorstep because the owners of those mines did nothing to ensure the safety of those workers. West Virginia’s safety record was one of the worst in the nation, and that distinction was sealed in 1907 when the worst mine disaster in history occurred on December 6 at the Monongah Mine in West Virginia. Methane most likely ignited coal dust in two mines, killing at least 400 men, if not 500. Now it’s an accepted fact that to keep coal dust from becoming combustible, it needs to be coated with lime. Rumblings among the families of the victims at Upper Big Branch hinted that more than one hundred years later coal dust sometimes accumulated because Massey was cutting corners, and not enough workers were available to make sure the lime was applied to keep the dust levels low. When the workers went down into the mine on April 5, 2010, more than one hundred years after the disaster in Monongah, a caged canary might have warned the miners to the danger lurking in the air. We left for West Virginia early on Friday morning with coffee mugs filled and snacks packed in the cooler. We planned to be at Simon’s parents in Morgantown sometime before 9 p.m. As we drove we listened to NPR when we could, but at times, especially driving through South Carolina, it was difficult to find any station not broadcasting country songs. As we sped up I-95 through a small bit of Georgia, we heard a commentator remark on how large corporations such as BP and Massey Energy ignored safety regulations and even citations. “Our greed for energy, as cheap and as quickly as we can pull it out of the ground, fuels the energy companies to bring it to us fast and cheap,” Simon said. “It sure looks as if both disasters could have been prevented with a little more precaution,” I said. Simon and his family moved to Calico in 1974, so Bob McDermott, Simon’s father, could take a job teaching at nearby University of Florida. When my father-in-law retired a couple of years ago, Simon’s parents did a reversal of what most folks did; they moved back to Morgantown, almost two hours south of Pittsburgh. “I’ve never understood why your folks moved back to West Virginia,” I said as the wildflowers of spring streaked by us in the median of the highway. “I’m the luckiest guy in the world. Don’t worry. I’ve no desire to move back to coal country,” Simon said. My family had its own history with the coal mines. My grandfather, Arthur Stokley, came from England in the 1920s to work in the mines of West Virginia, right near where the explosion occurred. He escaped a life underground in the mines by the grace of God and the owner of the mine where he worked. My family never said much about his life prior to becoming a worshipped doctor in Calico, but the story always intrigued me. It was probably one reason I wanted to write about this latest disaster. I read enough to know that not many young people ever found the means to leave the mines all those years ago when the miners lived in company towns. The conditions left them beholden to the mining companies raking in the dough while the workers lived in cobbled together houses huddled close to the mines. “Maybe he slept with someone important,” Simon said. In honor of the men who died in both disasters in 2010, Trails in the Sand is available for free downloads on Kindle this week, December 8, 9, and 10. In addition, if you still enjoy reading real books you can hold in your hands, please leave a comment here, and I’ll send the first two requesters an autographed copy of Trails.